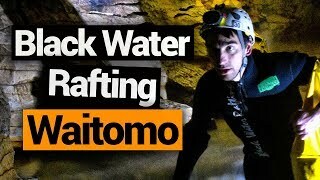 Epic ways to experience the Waitomo Caves! Under the rolling green hills of Waitomo lies a deep underworld decorated with stalactites and shining glowworms. The Waitomo caves have formed over millions of years creating some of the most stunning limestone features in the country. Not only that, the cave networks make a unique natural playground, which the guys are The Legendary Black Water Rafting Co. have utilised for some seriously fun caving tours commonly known as “Black Water Rafting”. But with two seemingly similar tours to choose from, which is the best Black Water Rafting tour in New Zealand? We’ll go through the differences in this Black Water Rafting tour comparison! 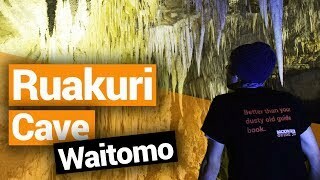 For more information to help you plan your trip to Waitomo, see 6 Ways to Take On the Waitomo Caves, as well as these 10 Fascinating Facts About the Waitomo Caves! No caving experience is needed! You’ll be guided every step of the way by a professional guide. You will see glowworms on both of the Black Water Rafting tours. The water temperature is 10-14°C / 50-57°F year-round so doing the activity in winter will feel almost the same as doing the activity in summer. Thick wetsuits, boots, helmet and optional fleece layers are provided to keep you warm (and buoyant) on the tour! You will need to bring your swimwear and a towel. Tour group sizes are kept small – a maximum of 12 people on the Black Labyrinth and 8 people on the Black Abyss. The tour ends with hot showers and a cup of warm soup and toasted bagels! Photos are taken for you throughout the experience where you’ll get to view and purchase your photos at the end of the tour. Cameras, including GoPros, can’t be taken on the tour. Tours only run if it safe, which is the vast majority of the time. However, prolonged heavy rain can result in rising water levels in the caves, in which case the tours would be cancelled. By the way, have you seen our article on The Best Glow Worm Caves in New Zealand? Tour highlights: Tubing, waterfall jumps, glowworms, caving and walking. The Legendary Black Water Rafting Co’s original and most popular tour is the Black Labyrinth tour. This 3-hour underground adventure has you equipped with all the caving gear you need – wetsuit, helmet, footwear, and most important of all, your inflatable tube! At the beginning of the tour, your guides teach you how to do a “tube jump” into a stream nestled in native forest in preparation for the underground waterfall jumps ahead! Then you and your group will delve into the Ruakuri Cave with your guide, exploring the cave network with limestone formations and clusters of glowworms. Making your way through the caves involves a mix of scrambling through the cave on foot, minimal swimming, one or two waterfall jumps, and floating down underwater streams under displays of glowworms. Your guides will share stories of local Maori legends, how these limestone caves and their features have formed, as well as telling you the unusual life cycle of the glowworms. They’ll also provide some sweet treats along the way, because who doesn’t love an underground snack? Why choose the Black Labyrinth Tour? It’s affordable! 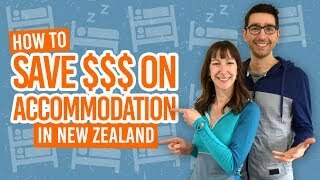 Travelling New Zealand on a budget, but still want to experience the adventure activities that the country is famous for? Then the Black Labyrinth tour is a fantastic option! It’s a shorter tour! If you’re travelling through the country on limited time but still want to squeeze in a Black Water Rafting adventure in, then this 3-hour tour is probably a better way to go, rather than taking the 5-hour Black Abyss tour. A great option for families! 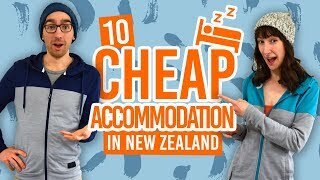 With a minimum age of 12 years old, it’s a great option if travelling with teens. Adventure without the adrenaline! The abseiling and waterfall climbing that is involved in the Black Abyss tour is not for everyone, while the Black Labyrinth option gives you an awesome adventure without the scary challenges. Find out more about the Black Labyrinth tour on the Black Water Rafting website. Tour highlights: Abseiling, ziplining, tubing, water jumps, waterfall climbs, glowworms, caving and walking. The 5-hour Black Abyss tour packs all the most adventurous ways to make your way through a cave into one Black Water Rafting tour. However, there’s no experience required, as you’ll have an experienced guide and be equipped with all the caving essentials! One of those essentials is your abseiling harness and clips, which you will be shown how to use in a hands-on training session prior to entering the caves. Once you have learned how to abseil with a few fun competitions, it’s time to abseil down a 35m tomo – a naturally-formed hole into the caves! The adventure continues with an underground zipline (we hope you’re not afraid of the dark! ), then some underground snacks in the form for yummy New Zealand chocolate and a hot beverage to fuel you for the cave exploration ahead. With an inflatable tube, you’ll literally leap into an underground stream and float under a galaxy of glowworms with your guide telling you local stories of Maori legends, how the caves formed, and more about the fascinating glowworms. The rest of the cave network will be explored with a mix of tubing, swimming, floating on your back, and some fun surprises along the way. Finally, making your way out of the cave is the next challenge with a couple of epic waterfall climbs! Why choose the Black Abyss Tour? The most adventurous tour! If you have a “go big or go home” mantra then this Black Water Rafting tour is a must-do! Great value for money! For just a $100 more than the Black Labyrinth tour, there’s more than double the amount of experiences crammed into this super comprehensive tour. A fun challenge! Experiences are the all the more memorable when you push yourself out of your comfort zone or do something you have never done before. This tour definitely touches on all those aspects! Find out more about the Black Abyss tour on the Black Water Rafting website. What if Black Water Rafting is not for you, or you are so mind-blown by the caves that you want to see more? Well, there are a few more options when it comes to experiencing the enchanting Waitomo Caves. Experience the very same famous cave than in the Black Water Rafting tours, but high in the cave network where the best limestone features have formed. On your guided tour, you’ll walk on raised platforms among milky white stalactites, stalagmites and other fascinating formations. There’s also the opportunity to see glowworms in the dark, as well as close up to their sticky lines! Nestled in native forest, this lesser-known cave is best described as the hidden gem of Waitomo. Your guide will take you into its network of high and narrow chambers rich in pink, white and brown stalactites. While glowworms are not the main focus of this tour, as with the other Waitomo tours, you will, however, get the opportunity to see large endemic insects called cave weta. 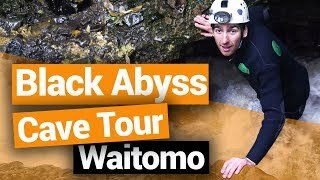 The most popular Waitomo caves tour, the Waitomo Glowworm Caves, not only gives you access to “Cathedral Cave” famed for its acoustics and dangling stalactites, but you’ll also enjoy a boat ride under the largest colony of glowworms in Waitomo!